Maya Yoshida already has his eyes on a return to winning ways against Newcastle in two weeks' time. Manager grateful to travelling fans after the long trip to Stoke. Yoshida reflects on Stoke City disappointment. The key moments from Saints' defeat to Stoke. The highlights from Saints' trip to Stoke City. See the best images from Saints' trip to the Potteries. Saints boss on 2-1 defeat to Stoke City. Saints boss disappointed to see positive performance come to nothing. Yoshida strike not enough as Crouch sinks Saints at the bet365 Stadium. All the key information ahead of Saints' trip to the Potteries. Test your knowledge ahead of Saints' trip to Stoke City. Find out what Mark Hughes told the press about Saints. Mauricio Pellegrino on the threat Stoke will pose against Southampton. Watch as Saints boss Mauricio Pellegrino previews the trip to Stoke. Travelling up to Stoke City? Read our full guide to Saturday's away day. Saints defender gives his thoughts ahead of Stoke. Check out the best photos from Saints' Thursday training at Staplewood. Mauricio Pellegrino speaks to the written media at Staplewood. Watch as Saints boss Mauricio Pellegrino looks ahead to the trip to Stoke City. 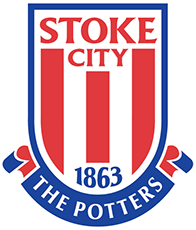 Get the lowdown on Stoke City from Sentinel reporter Martin Spinks. Find out the best facts and stats ahead of Saints' trip to the Potteries. The best images from Tuesday's training at Staplewood Campus. A much-improved second-half display, but Saints are cruelly beaten by Peter Crouch's 85th-minute winner at the bet365 Stadium. Still Saints keep pressing, as Long's cross causes confusion in the Stoke box, but Cédric can only fire the loose ball wide of the near post. Was that our last chance? Saints are really pushing and there are five added minutes! First Gabbiadini just fails to get something on Bertrand's low cross that flashes across goal, before Butland gets a vital touch as the striker tries to capitalise on a van Dijk flick on. Maya Yoshida celebrates Saints' equaliser at the bet365 Stadium. It's tough on Saints, who have dominated the second half, but Crouch flicks in from only a couple of yards out after Choupo-Moting keeps the ball alive in a goalmouth scramble. Stoke have been hanging on but Saints have broken them down and now have the momentum... Do we stick or twist? After Tadić's shot deflects behind for a corner, Saints make the most of the set-piece with a great finish from Yoshida, who volleys home off the underside of the crossbar! Well deserved! Still Saints continue to press, with virtually the entire second half being played in the Stoke half, but Lemina loses patience with a wild shot from distance that sails miles over the crossbar. Still no goal in a Stoke shirt for Berahino, who is replaced by ex-Saint Crouch in the hosts' first change. Time for a second striker, as Gabbiadini is introduced. Will he be the hero? Plenty of possession inside the Stoke half, but Saints just cannot fashion a clear-cut chance to level the scores. First change for Pellegrino on the hour mark, as Boufal comes on to add an extra attacking dimension. Another half-chance, as this time Redmond delivers a corner that's met by van Dijk, whose downward header bounces well wide. It's a good move from Saints, started by some neat footwork from Romeu, before Cédric's cross is headed narrowly over by Long. Tadić becomes the first player to go into the book for a late tackle on Fletcher. Take a look at the key moments so far at the bet365 Stadium. Saido Berahino's big moment passes him by, as Fraser Forster expertly saves the striker's penalty to keep Saints well in this game at the break. Mame Biram Diouf heads home Xherdan Shaqiri's corner to separate the sides at the interval, but Saints have Fraser Forster to thank for saving Saido Berahino's penalty late in the half. Berahino picks himself up to take it, searching for his first Stoke goal, but Forster guesses right - to his left - to keep the striker out! What a save! It's a simple opener for the hosts, as Diouf heads home unmarked from six yards to dispatch Shaqiri's inswinging corner. Allen finds space on the edge of the box, but van Dijk gets across and makes another excellent block. Choupo-Moting latches on to Shaqiri's pass and drills a low shot towards the bottom corner, but Forster gets down smartly to make another smart save. Saints keep the ball alive from an attacking set-piece and the ball falls kindly for Long, who instinctively shoots on the turn only to be denied by the sprawling Butland. Stoke get in behind the Saints defence as Allen plays a neat one-two, but his cutback is intercepted by Bertrand, who gets in front of Shaqiri to clear the danger and deny the Swiss international a tap-in. Fraser Forster dives to his left to deny Xherdan Shaqiri. The best move of the match from a Saints point of view sees Tadić thread the ball through the eye of a needle for Redmond, but Diouf just gets back in time to put the winger off and Redmond pokes his shot wide. Stoke feed the ball into the dangerous Shaqiri in the box, who creates a yard of space for himself and rifles a shot expertly repelled by Forster. Best chance of the game by a distance. First statement of intent from Saints, as Lemina breaks forward from midfield and hits a clean shot from 25 yards that just sails a couple of yards wide. That's more like it! After Zouma's speculative shot strikes van Dijk, the big Dutchman gets in the way of another shot - this time from Fletcher. The hosts have made the brighter start here. Choupo-Moting runs at the Saints defence and tries his luck from 20 yards. After his shot deflects behind off van Dijk, Allen fires over from the resulting corner. Mauricio Pellegrino has been speaking to the media one last time before his team go head to head with the Potters. Hear what he had to say here. We're in position and the team has been announced. Watch the players arrive at the bet365 Stadium here as we continue the countdown to kick-off! He's back! Virgil van Dijk makes his first start of the season - and his first start for eight months - in Mauricio Pellegrino's only change to his Saints starting line-up. The Dutchman replaces compatriot Wesley Hoedt alongside Maya Yoshida at the heart of the defence. Starting XI: Butland, Cameron, Zouma, Wimmer, Biram-Diouf, Fletcher, Allen, Pieters, Shaqiri, Berahino, Choupo-Moting. Subs: Grant, Johnson, Tymon, Adam, Afellay, Sobhi, Crouch. Starting XI: Forster, Cédric, Yoshida, van Dijk, Bertrand, Davis (c), Romeu, Lemina, Redmond, Tadić, Long. Subs: McCarthy, Hoedt, Højbjerg, Ward-Prowse, Boufal, Gabbiadini, Austin. It'll be tough, like any other game in the premier league. but we've done well here at stoke of late and hopefully that can continue today. Saints have arrived and we're ready for team news in the Potteries! Find out who's in Mauricio Pellegrino's starting XI at 2pm BST. We've arrived at the bet365 Stadium and the clock is ticking down towards kick-off. Who would you like to see on the Saints teamsheet this afternoon? The players have been training all week in readiness for today's game. Watch all the best bits from behind the scenes at Staplewood! I WOULD SUGGEST WE'RE TWO EVENLY MATCHED SIDEs. SOUTHAMPTON ARE A GOOD TEAM BOTH COLLECTIVELY AND INDIVIDUALLY, SO WE NEED TO MAKE SURE WE ARE READY. What does Mauricio Pellegrino think of our opponents today? Find out what the boss had to say in his pre-match interview here. Welcome to the latest edition of Matchday Live! We're on the road today, as we visit Stoke City in the Premier League! As always, we'll bring you the build-up, team news, match updates and FREE live audio commentary, so stick with us for all the action. Kick-off is at 3pm BST!